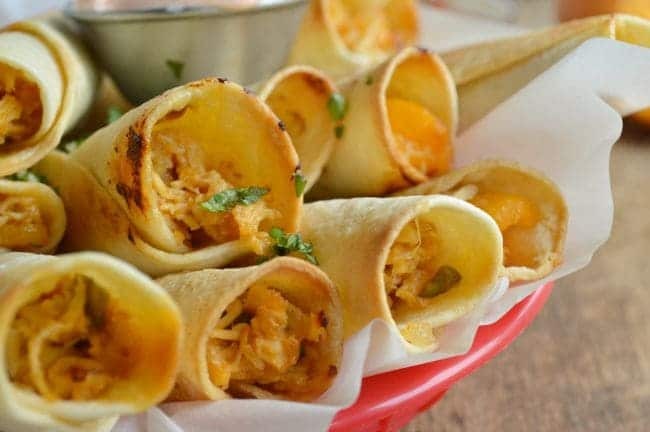 Shredded chicken is cooked with peaches and chipotle peppers and then rolled into tortillas and baked. 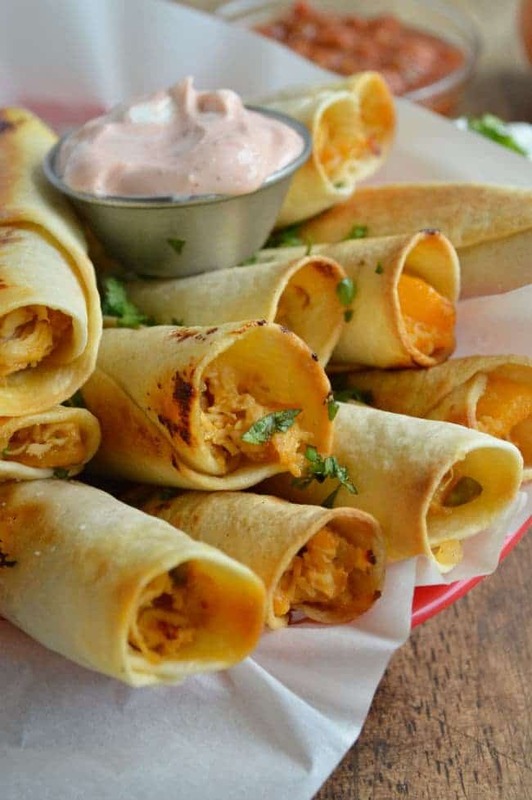 These Peach Chicken Taquitos are an excellent way to use up summer peaches! They make a great appetizer, easy meal, or snack. This post was originally written in 2013. I’ve updated the photos and added a few recipe notes. 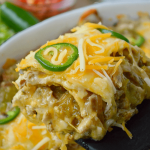 This easy meal remains one of our favorites! Had to share it again. If you caught my post on Monday, you might recall a photo of Norma Kitty Jean passed out on top of a mess of little boy clothes that were strewn in the floor after a visit to Grammy’s house. So yesterday I had to get all exorcist-mommy on the Sloppy Summer Monsters. I made them clean. Let’s talk about how boys clean. I don’t think this is exclusive to my boys because I have brothers. My mom is awesome and when the boys go to visit she collects all their clothes, washes them, dries them, folds them, and then sends back a bag full of clean laundry. It’s like she can’t turn off the mommy switch. But my kids can un-do her nice gestures in about 3.5 seconds. So when I ask them to clean and then I turn my back and resume work, they grab up a big arm full of [clean] clothes and throw them in the general direction of the washer, which just happened to be halfway loaded full of cleaning cloths and other things that funk up laundry really fast. Since Andrew just happened to be the laundry-ruining culprit that I caught in the act he learned a very valuable lesson yesterday: How to Do Laundry. He was not happy. He complained. He could not understand why the laundry had to be separated or why I don’t want my clothes washed with the muddy swim trunks they wore all day to slip-n-slide. He insisted that the washer/dryer manufacturers were at fault because why couldn’t they offer some kind of magical laundry technology that lets you do all of it at once? I tried to explain that our year-old washer IS magical technology and can we talk about a washboard for a minute? But Andrew refused to believe that this is actually the easy way. So today we are doing laundry again. And really… no matter the technology, laundry is not fun or easy. 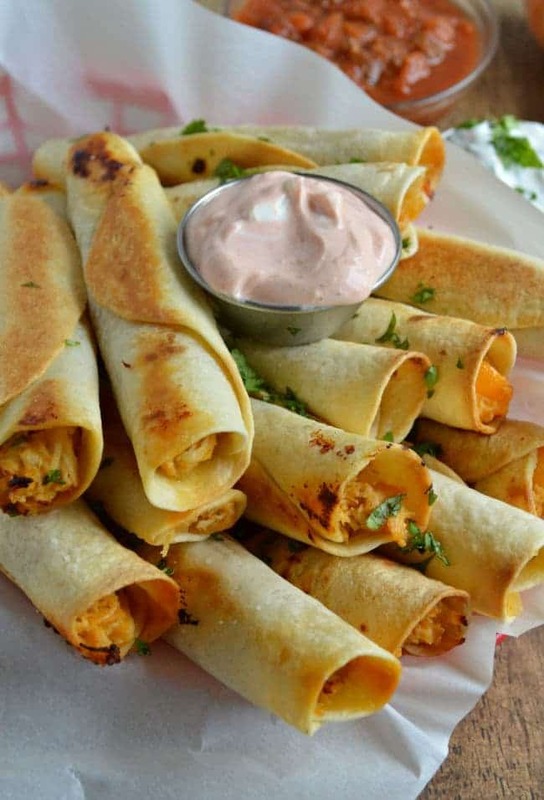 But these Baked Peach Chicken Taquitos ARE!!! I snatched up a giant basket of fresh peaches from the closest roadside stand the other day [again- two years later, history repeats itself; it’s like summer de ja vous ] and this meal is the first thing I made. 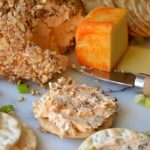 Crisp, summery, and just slightly sweet– the peaches and chicken meld beautifully with the sharp white cheddar cheese. The chipotle dip is SO simple and perfectly cool, creamy, and smoky with just enough spice. A quick warning: make more than you think you’ll need cause these little appetizery treats disappear fast!! The instructions below walk you through quickly poaching and shredding chicken. You can do this a day ahead OR you can use leftover chicken. I also find that shredding a rotisserie chicken from the grocery store works great. I use Cabot Sharp White Cheddar here AND Cabot Greek yogurt. It’s a creamy, dreamy dairy combo. Crispy little baked flour tortillas stuffed with shredded chicken, caramelized onions, fresh peaches, a little jalapeno, and sharp white cheddar cheese. Served with a cool, cream, and spicy chipotle dipping sauce. For faster prep, use leftover chicken (shaves off 20-25 minutes!) Cook time shown includes all stovetop prep and 25 minutes in the oven. Place the chicken in a medium saucepan and cover it with water. Bring it to a boil and then reduce the heat to a simmer. Use a fork to lift it away from the bottom of the pan so it doesn't stick and cook the chicken for about 15-20 minutes (until it's DONE). Remove the chicken to a cutting board to cool. Pre-heat the oven to 375. Spray a 9 X 13 casserole dish with cooking spray (or lightly brush with oil). Pour out the liquid that was in the saucepan you used to cook the chicken. Toss the sliced onions, oil, butter, and 1 teaspoon of kosher salt in the pan. Cook the onions over medium heat for about 15 minutes until they are soft, translucent, and start to caramelize. Shred the chicken and add it to the onions. Add the peaches and jalapeno pepper. Cook the mixture for about 5 minutes, stirring occasionally. Remove from the heat and stir in the cheese. Spoon a little of the mixture into each tortilla (2-3 tablespoons) and roll them up. Line the rolled up filled tortillas in the prepared pan. 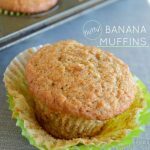 Brush the tops with the 1 teaspoon of olive oil, sprinkle with the ½ teaspoon kosher salt, and bake for about 25 minutes. The tops will be crisp and golden. While the taquitos bake, place the Greek yogurt and chipotle peppers in the blender and blend until smooth. 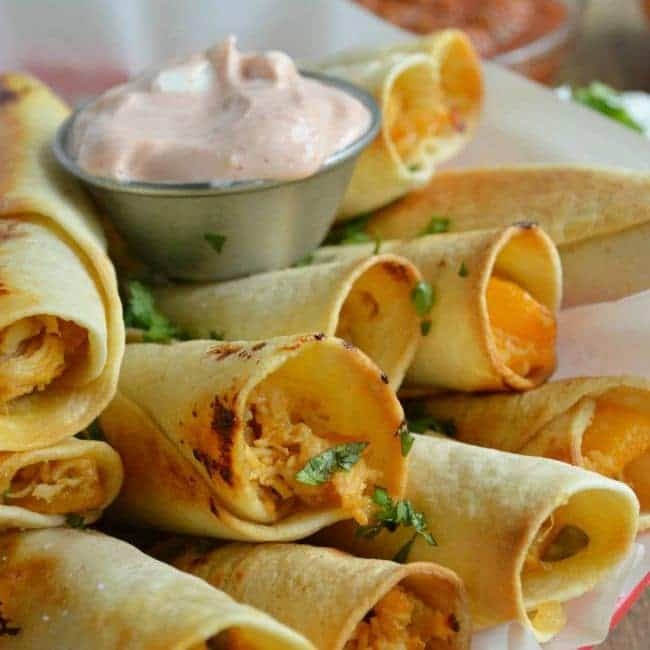 Serve the sauce with the warm Peachy Chicken Taquitos. You can use 2 cups of shredded cooked chicken in place of the 1 pound of boneless skinless chicken. Just skip over the 1st step. These are a great way to use up leftover chicken! I HATE doing laundry!! Send Andrew to my house when he’s done doing yours so he can do mine. 🙂 I love taquitos! Never would’ve thought to add peaches to the mix. Yum! OMG yums. Please please please come make dinner at my house! Hahaha, poor Andrew! I started doing my own laundry when I was about 8. My mother had had it with my NEED to change every hour or so. This early on lesson resulted in my running out of clothes on a regular basis and ultimately, my realization that the less often I change, the longer I can go without having to do laundry. Well played Mom, well played! As a single Mom, at the time, I taught my kids to do laundry at age 10 and 12. The main issue was completing the job. SO….I threatened that if the sorted dirty laundry was still on the floor when I came home from work it was to go out in the driveway. AND if it was still in the dryer they could go to school looking like they lived in a laundry bag. Luckily they never pushed my button. Always love your stories and daily RECIPES! I’ll file those ideas away for later. I can’t get my head round peaches and chicken, but they do look good!! As for laundry, luckily it’s just me, so I have two options (outside of the obscene amount of dry-clean-only-clothes I seem to own!) – washing and hand-washing, everything apart from things in danger of shrinking or being ruined gets lobbed in together, the rest gets lobbed into a cold handwash together! Ohhh the hand-washing. DREAD IT. I should make him hand wash everything next time. YUM!!! Those look so delicious….like I need to find some peaches quick…delicious! I made my kids do their own laundry when they were in grade school. They wouldn’t do it the way I asked, so I figured they could do it themselves 🙂 I did the same thing to their dad. He had the nerve to complain about the way I folded things and that I didn’t use the correct bleach on his whites! Find the peaches!!! Make the taquitos! Chad would never complain about the laundry, but mostly because I think if I didn’t do it he would just wear the same ripped up Las Vegas t-shirt every single day. Good on you. You are making any future women in their lives very happy! These taquitos look wonderful and I think we share a love of chipotles in adobo sauce. Sooooo good! Haha – future women. I try. I hope these guys are not totally hopeless by the time that comes. We definitely share a love of the chipotles in adobo sauce– this sauce is super simple! I’m thinking of making enchiladas with it. Yay for Greek yogurt! Would have never thought of these combinations haha sounds good though!!! And oh Andrew hahahahahaha The joys of motherhood!!!!! They are super good!! And actually they are pretty healthy– try them! Thank goodness I’m not the only exorcist mommy!!! My kids and their inability to clean is turning my hair gray! Seriously, is it THAT hard?? No whats no hard??? Eating a plate full of these! 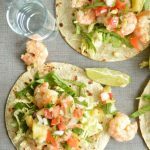 Love this sweet peach version of taquitos! Thanks, Tanya! Exorcist mommies unite! The cleaning (or lack there of) is a scam. I’m convinced. Boo and Radley clean the same way. Sigh. I think they are scamming us. It’s all a plan to get us to do ALL the laundry!